Looking for a software that similar to System Restore in Windows or Time Machine tool in Mac OS? 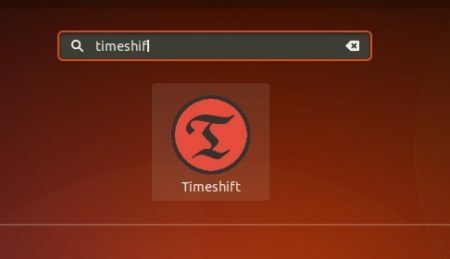 TimeShift is an open-source software for Linux that creates file system snapshots, which can be used to restore your Ubuntu to a previous state. 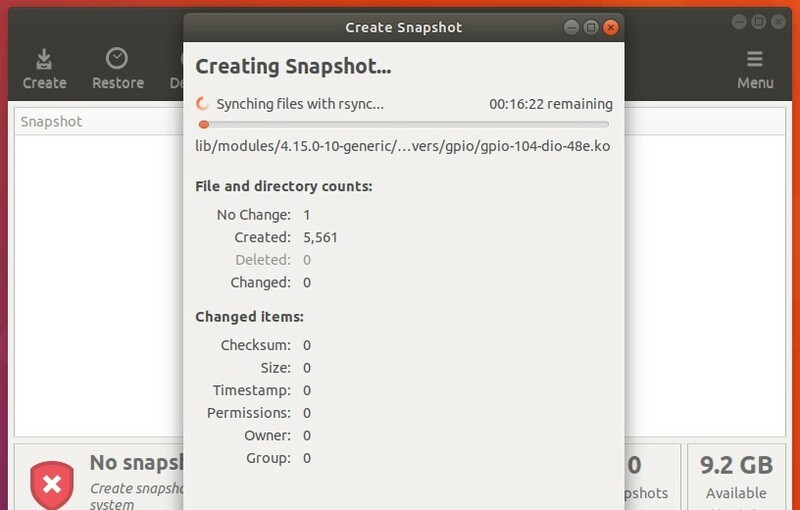 TimeShift creates snapshots using rsync+hardlinks, or BTRFS snapshots. It is designed to protect only system files and settings. User files such as documents, pictures and music are excluded. This ensures that your files remains unchanged when you restore your system to an earlier date. It supports scheduled snapshots, multiple backup levels, and exclude filters. You can also click the Create button to take a snapshot immediately. 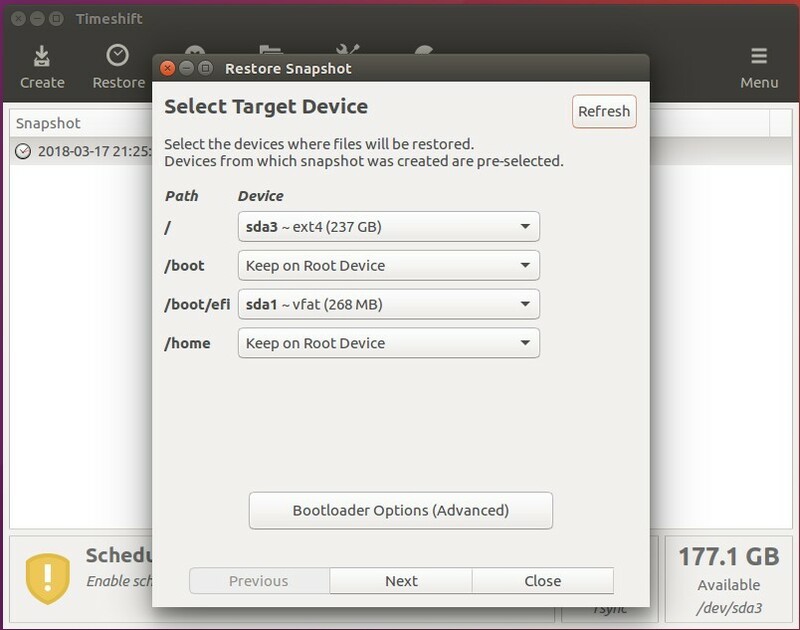 To restore your system to a previous state, highlight a snapshot from the list and click bthe Restore button. You can also backup the snapshots and restore one of them from a live CD/USB. Once installed launch the software and enjoy! So I’m getting ready to install AMD video drivers. I used timeshift to create a snapshot on my btrfs system. But what if I cannot get XWindows to load after the upgrade? Maybe Timeshift should have a grub loader option. 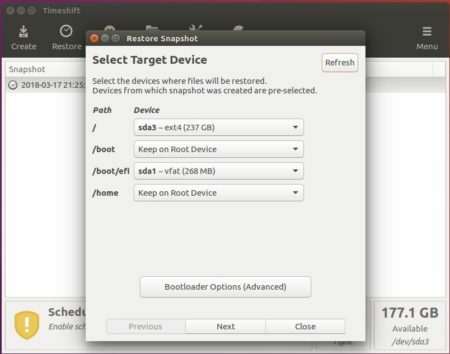 To be able to specify a boot option to go back to the last btrfs snapshot. Or at least a cli version that can be envoked.